We have recently introduced Eva, Emirates NBD Virtual Assistant to assist you both via Phone Banking and Facebook Messenger. She is the first in the MENA Region and one of the few in the world who can converse with you naturally as voice when you call our Phone Banking or as a natural text interaction when you use Facebook Messenger. How does Eva assist you and save your time when you call? How does Eva assist you on FaceBook Messenger? Access your account even more quickly with our Phone Banking. You will be asked to enter your 16- digit debit / credit card number & PIN post which various service options will be played. Go to Online banking & Mobile Banking Menu Select the option for online banking registration An auth code will be sent to your registered mobile number & instructions will be sent to your email address After receiving the auth code , you can to logon to Online Banking & complete the simplified registration process by following the instructions received. Means the Instructions given or purported to be given by the Customer to the Bank via the Call Centre or Automated Self Service and also Includes any other written or verbal Instruction issued or purported to have been issued by the Customer to the Bank, and the same are irrevocable and binding on the Customer upon receipt by the Bank. Interactive Voice Response, This is the machine that the Customer interacts when using the Self Service Banking, It responds to and will accept touchtone evidence Instructions. Means any or all of the banking services offered by the Bank, which can be availed by the Customer via a telephone and the Automated Interactive Voice Response Machine. ATM card issued to the Customer by the Bank. The debit card has 16 digit number embossed on it. Means Phone Personal Identification Number selected by the Customer to verify the identity of the Customer and for the Customer to authorize transactions via the Call Centre or the Self Service Banking. By registering with the Call Centre , accepting the Debit Card Number and selecting the ATM PIN or Phone PIN, the Customer authorizes the Bank to act on his/her, oral/touch tone/telephonic Instructions with the Banks absolute discretion. The Customer hereby authorizes the Bank to rely and act, without any liability on the part of the Bank, upon all such Instructions issued or purporting to be issued by the Customer and to accept the same as correct, accurate and duly authorized by the Customer. The use of the Debit Card Number with the correct ATM PIN or Phone PIN shall constitute confirmation of identity of the Customer and the Bank may, but is not obliged to, further confirm the identity. The Customer hereby also agrees and authorizes the Bank to record such contents of any phone call under the Self Service or Call Centre as may be deemed appropriate by the Bank and such II recorded conversation may be adduced produced as evidence, if and when required. The Bank may utilize other means of confirming the Instructions. The Bank reserves the right to refuse to execute any or all of the instructions if there is a failure on the part of the Customer to confirm the Instructions, in the event the Bank is in doubt as to the identity of the caller, or the bonafide of any Instruction. In the event of unauthorized disclosure of the ATM PIN or Phone PIN, the Customer shall immediately notify the Bank. The time at which the Bank received the aforementioned information or Instructions will be determined and certified solely by the Bank and such determination shall be binding and conclusive on the Customer The Bank reserves the right to ask for written confirmation. The Customer shall be solely responsible .for ensuring that the Debit Card Number and the ATM PIN or Phone PIN and any other Information that may be communicated to the Customer in this regard by the Bank is fully secured and is not disclosed to any un authorized persons or third parties. The Customers Service Representatives are NOT authorized to receive the detail of any Customer's Phone PIN or ATM PIN. The ATM PIN or Phone PIN will only need to be disclosed via touch-tone telephone while using the automated IVR. In the event of stolen or lost Debit Card, the Customer shall immediately notify the Bank to block his debit card access. However, access to IVR is not blocked. Customer should also immediately intimate the Bank if access to IVR is required to be blocked. The Bank reserves the right to ask for written confirmation. 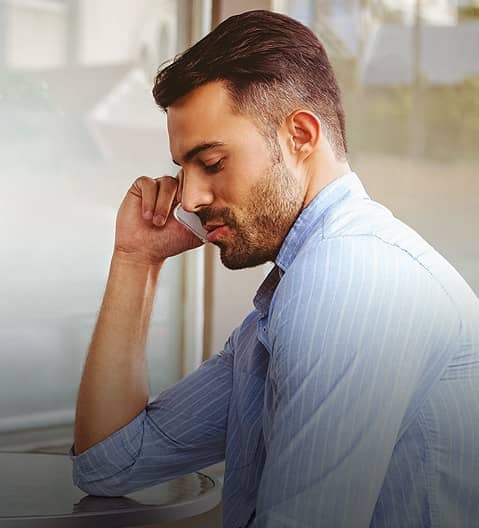 The Customer understands and agrees that the Bank will not be liable for any misuse by another person in such an event and for failure of the Customer to inform the Bank to block IVR access. The Customer shall provide the Bank with a list of third parties account numbers to which a transfer of funds may be made via Self Service Banking and/or Call Centre. The Bank shall not effect any Instructions requiring it to transfer funds to the account of a third party if the number of that account is not contained in the list provided by the Customer. The Customer acknowledges that Self Service Banking that may be provided by the Bank at its discretion involves inherent risks, including, but not limited to, risks associated with fraud and unintended/erroneous Instructions, which the Bank cannot eliminate. The Customer hereby indemnifies theindemnifies the Bank of all liabilities and responsibilities and accepts any and all risks associated with the use of the Self Service Banking. All transactions are charged at the normal banking rates. For details please refer to the fees and charges schedule pertaining to the different products offered by the Bank. The Bank reserves the right to amend, add or delete any of these terms and conditions at any time without prior notice. The use by you of this service shall be treated as acceptance by you of any change. If you do not accept any proposed. Express phone banking at the touch of your fingertips. Call 600 54 0000 from anywhere in the UAE. Enter your 16-digit Debit/Credit Card number and your PIN. Choose your service option from a menu. The system has a built-in and highly secure authentication mechanism so you can rest assure that each phone banking transaction is safe and confidential. Never divulge your PIN Number to anyone including Emirates NBD staff and Phone Banking officers. 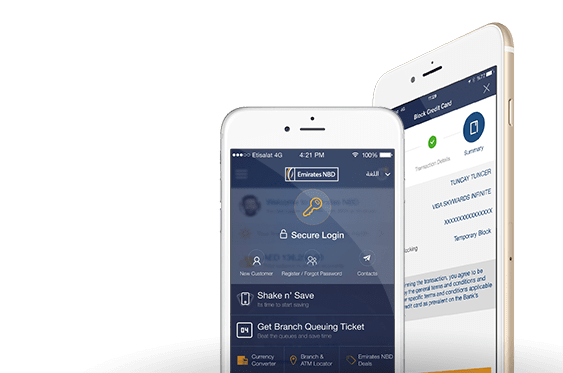 What is EmiratesNBD Phone Banking? EmiratesNBD Phone Banking is a 24 hour banking service, assisted by an automated IVR (Interactive Voice Response) system. How do I contact EmiratesNBD Phone Banking? Can I use EmiratesNBD Phone banking only during banking hours? You can access your bank accounts 24 hours, 7 days a week, even on public holidays and Fridays, either through a phone banking representative or the automated service. Corporate Customers will not be able to access Phone Banking Services. However they can call on the 24X7 Business Banking Number 600540009 for any Account related Enquiries. All transaction account holders with the exception of jointly held accounts, Minor and Corporate Accounts. What are the services offered through EmiratesNBD Phone Banking? Services available to you are as follows. Details of the last five transactions for the Cards/Accounts. Utility bill payments (Etisalat, Du, Salik, Nol, Dewa). Speak to the EmiratesNBD Phone Banking representative by pressing '0'. Through EmiratesNBD Phone Banking you can access your bank accounts 24 hours a day, 7 days a week, and 365 days a year. Debit card: - You can call 043160210/600540000 and activate your debit card. What is a T PIN? T PIN is the Telephone Identification Number. It is a confidential 4 digit number, which allows you access to your bank account through EmiratesNBD Phone Banking. This is the same as your Debit card Pin. How do I change my T Pin Number? You can change your T Pin Number by calling 600540000/043160210 or alternatively visit the nearest ENBD ATM. Are joint account holders allowed to obtain a T PIN? If the signing authority is 'either or survivor / AND OR', he will be able to access Phone Banking. If both signatories have to sign as per the account opening mandate (where signature instructions are 'AND') we regret that the Phone Banking service is restricted. How secure is my telephone banking Pin? Your T PIN is confidential between you and the bank, and therefore secure. However, you should not disclose your T PIN to anyone to avoid any misuse. I have a feeling that another person knows my T PIN. What should I do? You should call 60054000/or visit the Nearest EmiratesNBD ATM and change your T PIN immediately to prevent any misuse. As per the terms and conditions on the T PIN application, you are solely liable and responsible for all transaction on your account using the T PIN service. If I have several accounts, do I have to apply for different T PIN's? T Pin is the same as your debit Card Pin hence Different Accounts may have different T pins. Can I make a transfer from my AED account to my US$ Account? No. Funds transfer is only permissible between AED accounts & in AED currency only. Do I need to sign up for the utility bill payment option? No, you do not. You need to use your T PIN and input your bill number on the utility payment option. What are the utility payments I can make through EmiratesNBD Phone Banking? You can make payments to Etisalat, Du, Dewa,Nol,Salik. Can I pay for somebody else's utility bill? Yes, as long as you have their utility account number, you can pay for someone else's bill also. How do I get the statement if the request is made via EmiratesNBD Phone Banking? Statement requests made through EmiratesNBD Phone Banking can be sent by Fax. How do I redeem my Plus Points or skyward miles? You can call 600540000/043160404 to redeem or enquire about the Plus Points/Skyward Miles. Can I make a telegraphic transfer through Phone Banking? Yes, you can however it is necessary that you authenticate yourself on the Phone banking Service through your T PIN. Emirates NBD Phone Banking is a 24 hour banking service, assisted by a virtual assistant - Eva and a team of Phone Banking officers. Can I use Emirates NBD Phone banking only during banking hours? You can access your bank accounts 24 hours, 7 days a week, even on public holidays and Fridays, either through the automated Phone Banking Service or Phone banking Officers. Can Business Banking /Non-Individual Customers access Phone banking services? Non-Individual/Business Banking account holders can call on the 24x7 Phone line 600540009 and access Phone Banking service. However, this line is only accessible to 'authorized callers' who have a Telephone PIN. Customers can register for the phone banking service and obtain the Telephone PIN by visiting the nearest branch. All Emirates NBD customers with the exception of jointly held and minor accounts can access the phone banking service. What are the services offered by EVA - Emirates NBD Virtual Assistant? Request Account and Card statements by email. Through Emirates NBD Phone Banking you can access your bank accounts 24 hours a day, 7 days a week, and 365 days a year. How can I activate my Emirates NBD Credit/Debit card through EVA? You need to call at 600540000 from your registered mobile number and tell the virtual assistant activate card. EVA will take you to activation flow and then you can have the card activated on the call. What is the minimum/maximum amount for Funds Transfers/Bill Payments via EVA/ Phone banking? If I make a fund transfer payment from my savings account to my current account via EVA/ Phone banking, how soon can I withdraw the funds using an ATM? You can immediately withdraw the funds from any ATM. Can I make a transfer from my AED account to my US$ Account through EVA/ Phone banking system? You may transfer from your AED account to your US$ account via the phone banking automated system, as long as one of the transacting account is in AED currency. Do I need to sign up for the utility bill payment option on EVA/ Phone banking? You do not need to register for the utility bill payment option as you can authenticate on the IVR using your card number and PIN, by voicing out the Utility for which you wish to make the payment. Payments can be made to registered/un-registered beneficiaries. What are the utility payments I can make through EVA/ Phone Banking? You can make payments to Etisalat, Du, DEWA, SEWA, NOL, and SALIK. Can I pay for somebody else's utility bill through EVA/ Phone banking system? As long as you have an Emirates NBD Debit or Credit Card and the required utility account number, you may pay for someone else's bill also. How can I receive my statement if made the request through EVA/ Phone Banking? Statement requests can be made through EVA/ Phone Banking for both accounts and cards. The statements will be sent to your registered Email. How do I redeem my Plus Points or skyward miles through EVA/ Phone banking? You can call 600540000 to redeem or enquire about the Plus Points/Skyward Miles. However, for your convenience, it is advised to redeem these through Online or Mobile Banking. How can I update my Mobile Number via phone banking? Registered mobile number cannot be updated through EVA/ Phone Banking. In order to have you registered mobile number updated, you need to visit your nearest Emirates NBD branch /ATM machine. Note: For international mobile number, customer will have to visit the branch. Can I make a telegraphic transfer through EVA/ Phone Banking? Telegraphic transfers cannot be made through EVA/ Phone Banking. However, you can do the transfer through Online/Mobile Banking. How do I connect to a Phone Banking officer directly on the IVR system? You can specify your actual reason for calling to the virtual assistant - EVA who will guide you with the service you require and accordingly your call will be transferred to a phone banking. How do I reset my card PIN through EVA/ Phone banking? You can give instructions to the virtual assistant Eva regarding card PIN RESET. You will then be asked to enter the Card number for which you need to reset the PIN. You can then directly set up your new PIN through our virtual assistant.